This duty arises because Illinois business owners owe invitees a duty of ordinary care to maintain their premises to ensure a reasonably safe environment. How Do Most People Slip In Stores And Businesses? What Exactly Do Businesses Have To Do If It Rains Or Snows? What Does This Mean For Illinois Companies? How Do You Pursue Compensation Against Businesses For Slip And Fall Accidents? Do You Want To Know If You Have An Illinois Slip And Fall Case? Shoppers slip on spilled liquid in a store, many times even after the management was informed of the spill. Customers trip and fall on uneven floors in a recently developed area or one that is still under construction. Visitors slip on ice or snow that was pushed aside by company employees. Guests fall down stairs after the hand railings give way and cause them to fall. Does you incident look like any of these? If not, don't worry. Many slip and fall accidents are unique and don't mirror any others. The important things to focus on are the facts of your case and the laws of Illinois. The general rule for snow and ice removal in Illinois is "hear no evil, see no evil." This means that if citizens don't do anything about it then they won't be in any legal trouble. It can snow a foot or ten feet and Illinois residents are in their rights to do nothing about it. However, this is complicated when you consider that Illinois businesses have other rights and responsibilities as well. For instance, they have the general duty to care for their invitees and provide them with a reasonably safe environment. And how is it complicated by snow and ice? Well, this would actually require businesses to affirmatively undertake certain measures in order to ensure that the portions of property where customers traverse over are safe. 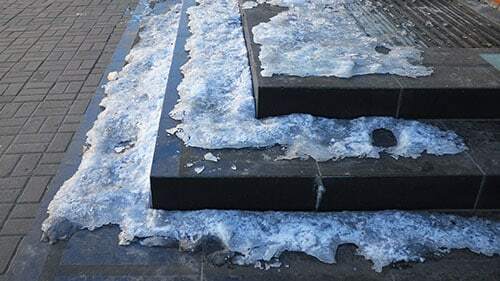 For example, if an Illinois store has a path leading into its building, it should clear it of ice because customers can sue for damages if they slip and fall on their way in. Alternatively, if a large snowfall requires customers to climb over a mound of snow to get out of the parking lot, then the company could be sued if it doesn't shovel and clients fall while attempting to climb it. Obviously, the injured person must have some invitee relationship to bring a suit against the company, like that of a customer. Also, Illinois' rule of comparative fault would reduce the recovery by the amount of blame that the plaintiff contributed to the event. However, hopefully this illustrates the affirmative obligation that Illinois businesses have in certain situations with respect to snow and ice removal as well as how that modifies the traditional rule that property owners need do nothing if it snows or rains. Slip and fall accidents can seem like such small events and lawsuits can seem like such large, complicated affairs. It's no wonder that many people don't realize how to pursue compensation for the injuries that result from these incidents. However, you must realize the steps you need to take in order to obtain recovery from the company that was responsible. Here is brief overview of them: 1) You need to research every aspect of the slip and fall incident including the proper owner of the premises, who was there, and how it happened; 2) you must file a complaint in the proper courthouse specifying the facts of the accident, who was at fault, why you are allowed relief, and what relief you feel you are entitled to; 3) you must conduct discovery with the opposing counsel to formally exchange information and evidence; and 4) you must present your case before a jury. Do You Want To Know If You Have An Illinois Slip And Fall Case? 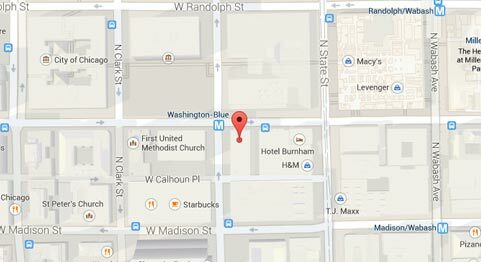 Our Team Of Chicago Injury Lawyers Can Help You Get The Compensation That You Deserve! A lot of the issues surrounding slip and fall cases and even premises liability litigation generally can be confusing. You might wonder which rules apply to you and if so how they apply to you. Our team at Rosenfeld Injury Lawyers LLC can help answer any question that you have on this topic and we know that you probably have many. Do you wonder if you have an Illinois slip and fall case? Then, give us a call! We sit down with people from all over Illinois all the time who have suffered numerous injuries including medical malpractice, car accidents, dog bites, and slips and falls. Just like them, we can explain to you how the facts of your incident relate to the laws of this state. And just like them, we can fight for you to ensure that you receive the full protections of them. So contact our team at (888) 424-5757 or through the contact form below and hear about how you can turn your Illinois slip and fall accident into an Illinois slip and fall case.